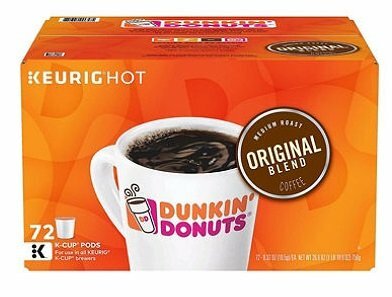 Dunkin' Donuts'® Original Blend, the blend that made Dunkin' Donuts famous, features 100% Arabica beans and delivers a signature smooth taste. Now available in K-Cup® pods and uses Keurig's line of machines. Brew your favorite Dunkin' Donuts Original Blend one cup at a time and enjoy the same great quality you have grown to expect from their restaurants.